At Quality Stamping & Manufacturing in Morris, Minnesota, our machining center uses state-of-the-art computer technology to control the precise movement and operation of our machines. This enables us to achieve precision cuts for both tool building and production runs. If you need a blanking die or progressive tooling, we will build what it takes to meet your needs. Our Tool & Die Department produces reliable tooling, ensuring that our customers receive parts that are exactly what they expected. 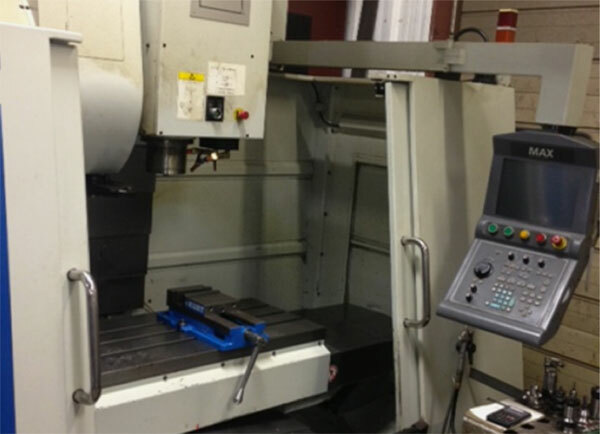 Unlike most other shops, we build and service our tooling in-house. Metal-stamped parts are only as good as the tooling that makes them; we trust our own work to perform to the highest possible quality standards. We can accommodate client requirements, big and small. Our shop serves clients with a range of needs, from agriculture to technology—from prototype creation to one-time short runs to standing orders of more than a million parts per year. While we serve many local clients, our equipment and professionalism allow us to remain globally competitive. No matter what your requirements or where your products are headed, our team of experienced operators is capable of meeting your needs with high-quality work and a fast turnaround. We truly understand that time is money. That’s why we use our years of experience to product a high-quality product quickly and efficiently. Call us at 320-589-1903 to talk with our tool designers about your needs. We can answer your questions and provide an estimate for your project. Quality Stamping & Manufacturing is a metal stamping facility in Morris, which is located in West Central Minnesota. We offer a variety of stamping services, including in-house tooling and die and design. We work with manufacturers across all industries, including agricultural, automotive, recreational and telecommunications. Website, content, and photographs © 2018. All Rights Reserved.